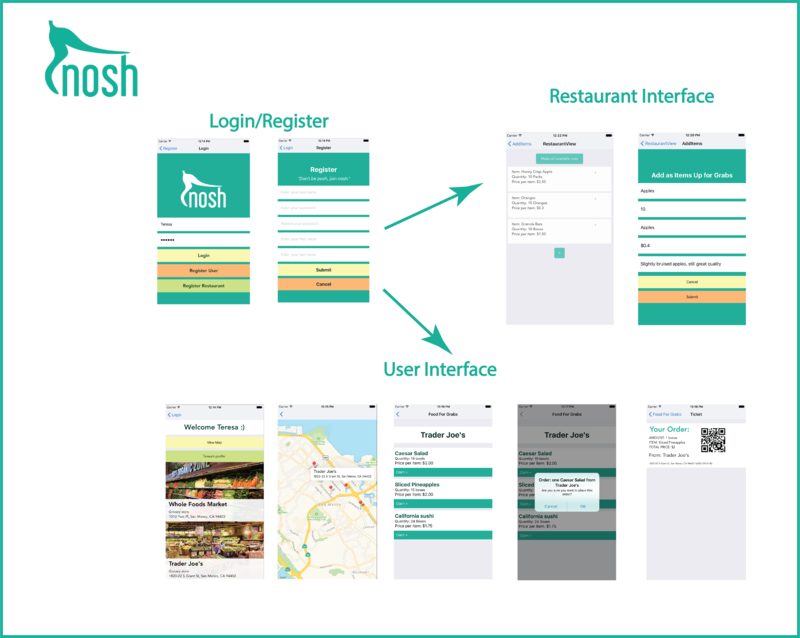 Nosh is a React Native mobile application created to connect people in need of affordable and healthy food to restaurants that have leftover food at the end of the day. The USDA estimates about 30 to 40 percent of food is wasted in the United States, and our app aims to reduce this percentage. Many parts of the US are also in food deserts, where people do not have easy access to healthy and inexpensive foods, so our app provides a source of low-cost food for these food deserts to benefit from. Neary users see that the restaurant has available food pop up on their interface when they enter the app. Users claim the leftover food by tapping on the retaurant and then the food, which generates a ticket with a QR code. Users go into the restaurant and claim the food with their ticket and pay.